How to engage citizens for responsible public finances? The Belgrade Fund for Political Excellence (BFPE) gathered representatives of local governments and non-governmental organizations from all over Serbia, as well as representatives of the civil sector from Belgrade at a roundtable on Thursday, December 7 at the Zira hotel in Belgrade, entitled “Engaging citizens for more responsible public finances”. Apart from presenting the results coming from final activities within the project “Local Self-Governments, Civil Society Organizations and Media for More Accountable Public Finances”, which was implemented by BFPE in cooperation with the Association of Independent Electronic Media (ANEM), financial support of the United Nations Development Program (UNDP) and Swiss Agency for Development and Cooperation (SDC), the round table has served to exchange experiences and examples of good practice in how to get citizens involved in local budgeting. 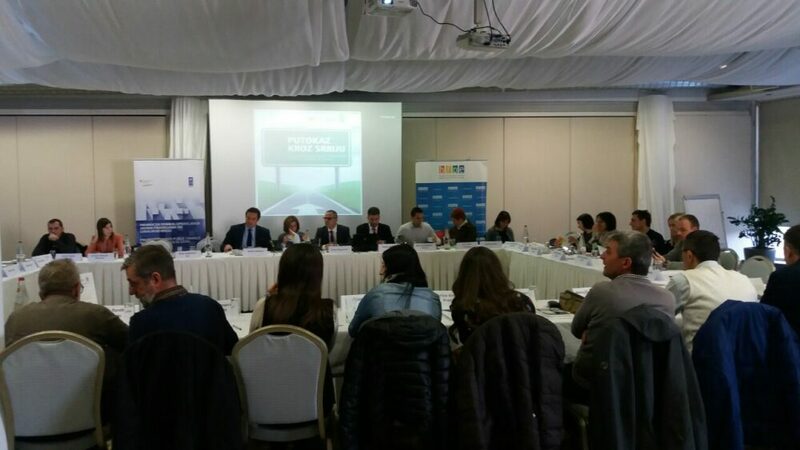 On this occasion, study “Roadmap through Serbia – towards more responsible public finances through the involvement of citizens” was presented. This publication provides a brief overview of the experiences gained from the project, but it also provides a kind of guidance to encourage the involvement of citizens and civil society in public finance processes at the local level. The authors highlight the potential trajectory of the steps and the most important phases of this process, each of which is illustrated by examples of good practice from 15 cities and municipalities in Serbia. As such, this “Roadmap” is intended for all local governments that want to consider strategies for improving public finances in cooperation with the civil sector. Žarko Stepanović, Acting Director of the Office for Cooperation with Civil Society, Vera Kovačević, Project Manager in UNDP and Marko Savković, Program Director of BFPE provided opening remarks. Mr. Stepanovic underlined the importance of cooperation and consultations between civil society and the non-governmental sector, and he also pointed out new legal solutions under preparation, such as the introduction of a compulsory public debate on the local self-government budget. Ms. Kovacevic emphasized the strategic direction of UNDP in the field of public finance management, as well as the importance of promoting examples of good practice in this field. 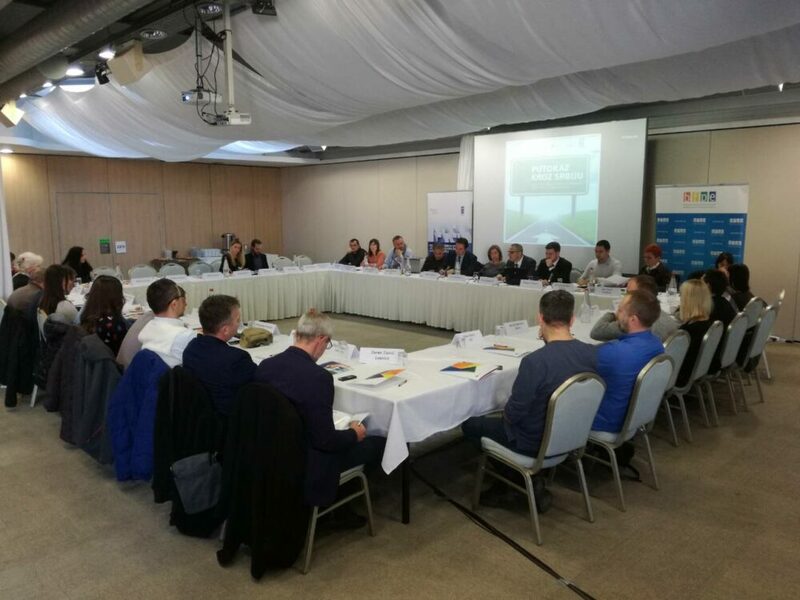 Marko Savković emphasized the importance of establishing cooperation between representatives of local self-government and civil society and establishing trust in the local community.